A charming, farmhouse-inspired aesthetic combines with delightful functionality to give you the Luxenford Credenza and Hutch. This home essential is made with select hardwood solids and white oak veneer in a wire brushed gray brown finish. The low bookcase has a sliding barn door and a fixed shelf that’s perfect for housing your office and home essentials. 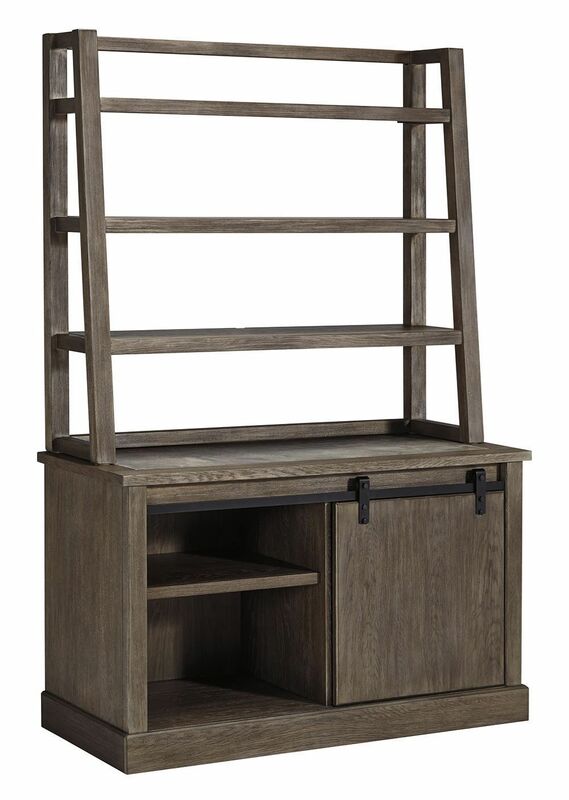 The three-tiered open bookcase hutch rests perfectly on top and is ideal for showcasing your favorite framed photos, collectables, house plants, books, and so much more. 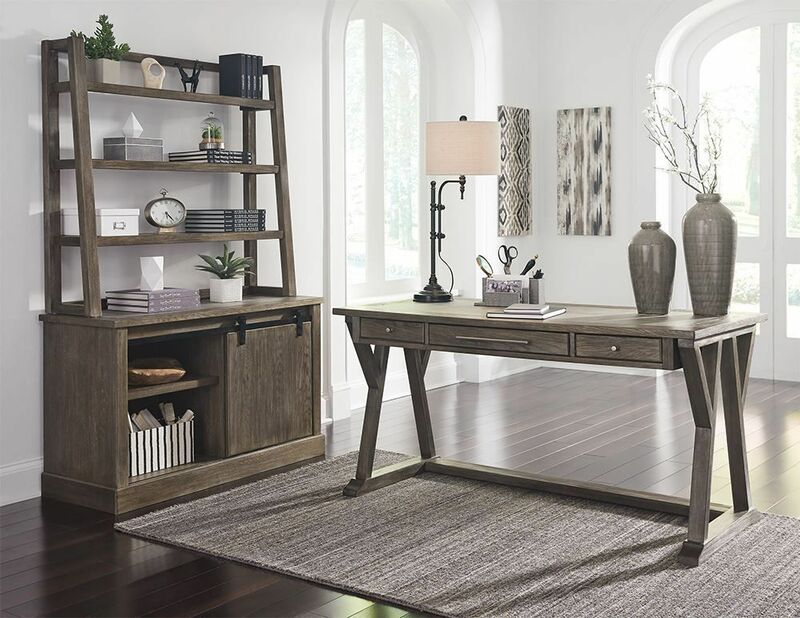 This charming set is a wonderful way to complete your home office, while its casual style and warm color palette allows it to look lovely in a living room, a den, and just about anywhere. Claim the Luxenford Credenza and Hutch as your own today. Consider pairing this set with the matching Luxenford Office Leg desk. A charming, farmhouse-inspired aesthetic combines with delightful functionality to give you the Luxenford Credenza and Hutch. 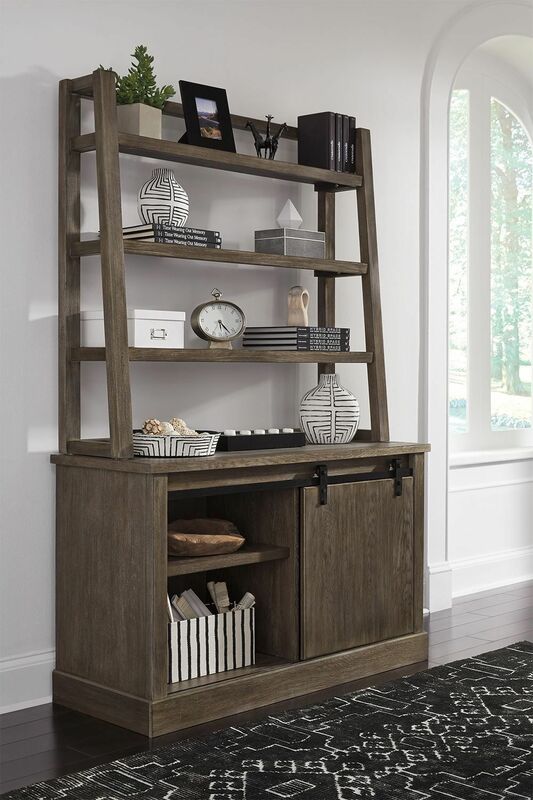 This home essential is made with select hardwood solids and white oak veneer in a wire brushed gray brown finish. The low bookcase has a sliding barn door and a fixed shelf that’s perfect for housing your office and home essentials.